Detroit Speed Rear Coilover Tower Brace Kit for the 2016-2019 Camaro SS is a bolt-in design that increases overall vehicle stiffness. 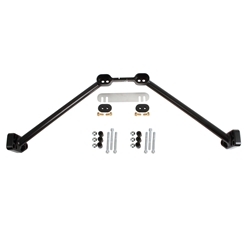 It is made of lightweight aluminum with a black anodized finish that includes the brace and installation hardware. Detroit Speed recommends using this kit when switching over to a coilover suspension.